A strong heart is a key component to overall health, so when you are faced with cardiovascular disease, you need the best medical care available. Welcome to Texas Health Care Cardiology, a leader in cardiovascular care. Treating patients in Tarrant County and surrounding areas, your heart is in good hands with us. Every cardiology patient has different needs based on their own heart health issues. You can be confident that the doctors at THC Cardiology are highly qualified in treating a wide range of problems - from arrhythmia and atrial fibrillation, to pulmonary hypertension, and other diseases of the heart. Plus, you'll always be cared for in a compassionate and patient-centered environment. Our affiliations with all Tarrant County Hospitals combines the strengths of all leaders in cardiovascular care, enhancing your access to an outstanding level of quality care and state-of-the-art technology that ultimately, results in higher results and better quality of life for you-our patients. 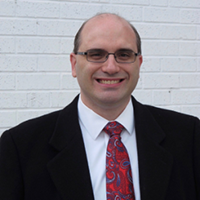 Dr. Joseph Marcella becomes one of the founding members of THC. Opens a small office at 1050 5th Ave (off Rosedale St). Dr. Scott Ewing joins THC after completing Interventional Cardiology fellowship. Shares an office with Dr. Marcella at 1050 5th Ave.
After 34 years in private practice, Dr. Joseph Marcella retires. LOREM IPM DOLOR SIT AMET, CONSECTETUER ADIPISCING ELIT. PRAESENT VESTIBULUM. Praesent vestibulum molestie lacus. Aeonummy hendrerit mauris. Phasellus porta. Fusce suscipit varius mi. Morbi nunc odio, gida at, cursus nec, luctus a, lorem. Maecenas tristique orci ac sem. Duis ultricies pharetra magna. Donec accumsan malesuada orci. Donec sit amet eros. 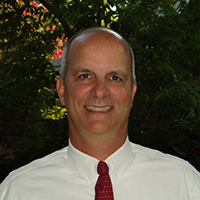 Scott E. Ewing, D.O, is an interventional cardiologist with Texas Health Care. Dr. Ewing was previously a Mechanical Engineer with BS Mecahical Engineering from Southern Methodist University in Dallas, TX and MS Mechanical Engineering from the Massachusetts Institute of Technology in Cambridge, MA. He spent 22 years with Texas Instruments in their Defense Systems group. Dr. Ewing then returned to school obtaining his Osteopathic Medical Degree (DO) from University of North Nexas Health Science Center Texas College of Osteopathic Medicine here in Fort Worth, TX. He then trained at Plaza Medical Center where he completed two cardiology fellowships as well as his internal medicine residency and internship. Dr. Ewing is Board Certified in Interventional Cardiology, General Cardiology, and Internal Medicine. In his free time, Dr. Ewing enjoys sailing, carpentry, gardening and reading. 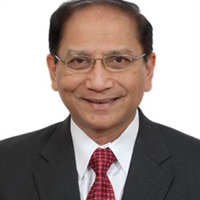 Abdul Keylani, M.D. is a Texas Health Care cardiologist who practices in Fort Worth. Dr. Keylani is board certified in Internal Medicine, General Cardiology, Nuclear cardiology, Transthoracic and Transesophageal echocardiography, Vascular interpretation, NASPE (North American Society of Pacing and Defibrillation), and Interventional Cardiology. Sam J. Nassar, D.O. is a board certified Cardiologist with a practice in Fort Worth that is actively accepting patients. 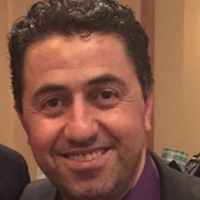 Dr. Nassar earned a Bachelor of Science in Cellular and Molecular Biology from the University of Michigan and his Doctor of Osteopathic Medicine Degree from Michigan State University (MSU) College of Osteopathic Medicine. He completed a residency in Internal Medicine at MSU’s Botsford Campus and a Cardiology Fellowship at the MSU Mount Clemens Campus. Dr. Nassar practiced cardiology in Michigan for several years before moving to Texas in 2012, where he has worked in San Marcos and the Fort Worth area. When he is not practicing medicine, Dr. Nassar enjoys watching college football, keeping up with current events, and traveling. He is an Eagle Scout and a Fellow of both the American College of Cardiology and the American College of Osteopathic Internists. Texas Health Care is pleased to announce that Naresh H. Patel, MD has joined its ranks of 150-plus Tarrant County physicians. Dr. Patel is a cardiologist with a lengthy record of accomplishments. Dr. Patel is a 1982 graduate of Baroda Medical College in his native India. In the early 1980’s, Dr. Patel came to the U.S. and completed a residency in Internal Medicine at the Hospital of St. Raphael, affiliated with the Yale University School of Medicine; as well as a residency in Nuclear Medicine at the University of Washington Medical Center in Seattle. It was while practicing nuclear medicine that Dr. Patel became passionate about cardiology, as he saw so many cardiac-related procedures. Dr. Patel completed three years of Cardiology Fellowship at University of Arkansas in Little Rock in 1996. Dr. Patel came to Texas in 1997, where he has practiced cardiology in private practice in McAllen, Midland and since 2000 in Fort Worth. Dr. Patel is board certified in Cardiology and is a Fellow in the American College of Cardiology. He is also a member of the American Medical Association.